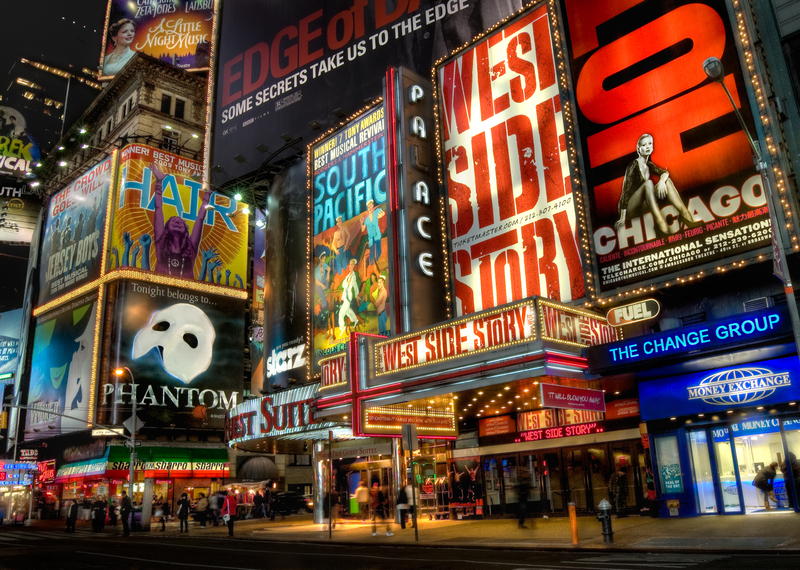 The Broadway musical is one of two quintessentially American genres of music. Like jazz, the Broadway show is an art form created by outsiders that has had a profound influence on American music. The United States provided the opportunity for immigrant Jews to live the American dream. Jewish lyricists, composers, and musical book writers returned the favor, giving back what some scholars call America’s classical music. Many Broadway musicals are about outsiders fighting to make their way in the world. In dramatizing the stories of others, Jewish writers and composers explored their own journeys. Lyrics such as “I want to be in America” from West Side Story or “You’ve got to be taught to hate and fear” from South Pacific are clear reflections of the Jewish experience. Yet it wasn’t till 1964 that Jews told their own story on stage, in the enormously successful Fiddler on the Roof. The Broadway musical is still here. It is the Jewish gift to America that keeps on giving. Written by BARBARA BRILLIANT, a television host and producer, musician, and journalist. She is the creator and executive producer of the PBS Great Performances program Broadway Musicals: A Jewish Legacy, for which NMAJH also served as a producer. 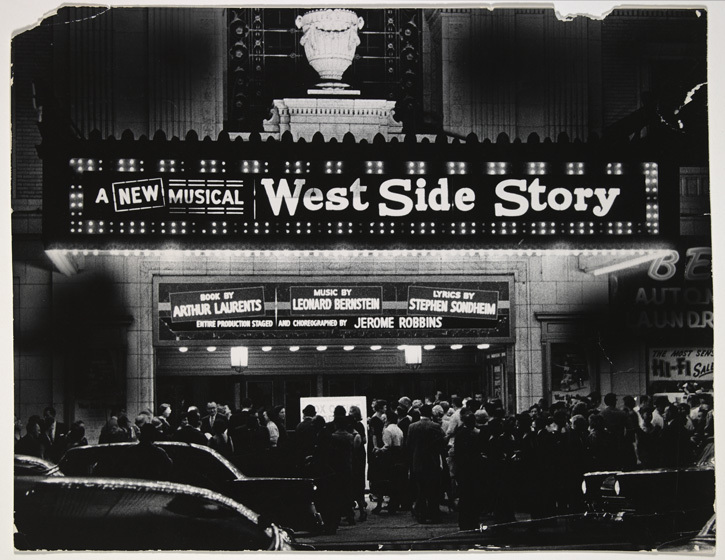 Left: Outside the Winter Garden Theatre after the Broadway Opening of West Side Story, photographer unknown. Leonard Bernstein Collection, Music Division, Library of Congress. Right: The intersection of Broadway and 42nd Street, at the south-east corner of Times Square, New York, photograph © Randy Lemoine. This post originally appeared on The Bernstein Experience on Classical.org, the official digital partner of Bernstein at 100. Image: Nina Bernstein Simmons, Alexander Bernstein, Jamie Bernstein, and curator Ivy Weingram at the opening of Leonard Bernstein: The Power of Music exhibit at the NMAJH. (Credit: Matthew Christopher Photography. These days, it is a special occasion when Jamie, Nina, and I are in the same place at the same time. On March 14, we gathered in Philadelphia at the National Museum of American Jewish History for the opening of their exhibit entitled “Leonard Bernstein: The Power of Music.” A special occasion, indeed! Curated by the inestimable Ivy Weingram, this extraordinary exhibit manages to synthesize Leonard Bernstein’s legacy as composer, conductor, educator and social activist through the lens of the 20th Century’s (and his) crisis of faith. The artifacts are thoughtfully arranged – among them: his parents’ scrapbook of photos and newspaper clippings, a copy of Romeo and Juliet with many marginal notes during the creation of West Side Story, his FBI file of 800 pages, and the piano given to him by his teacher (and later, secretary) Helen Coates. It is, at turns, moving, fun, and funny – and always interesting. In a viewing room, one can watch songs from the film of West Side Story synced brilliantly next to popular versions of them (e.g. Maria by Will Ferrell, I Feel Pretty with Melissa McCarthy as Sean Spicer, etc.). Then one enters another room with a video of excerpts from MASS, put into the context of its time, and our own. Shattering.